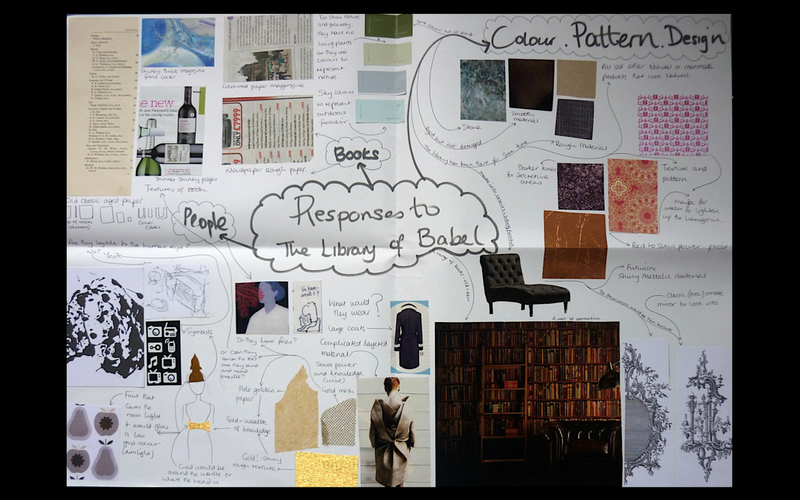 This is a mind map of what I think the library would look like within including textures, materials, the type of paper the books would have been and the feel of the inside of the library. Adding images to make it visually interesting for my own personal use. Another mind map but picking out the key words and expanding into other ideas. Initial sketches for the text, I was originally going to illustrate the sequential stories of the text and the stories within. However, I was soon moved onto thinking not illustrating the obvious. So, I created another mind map to allow me to get all my thoughts down on one page. 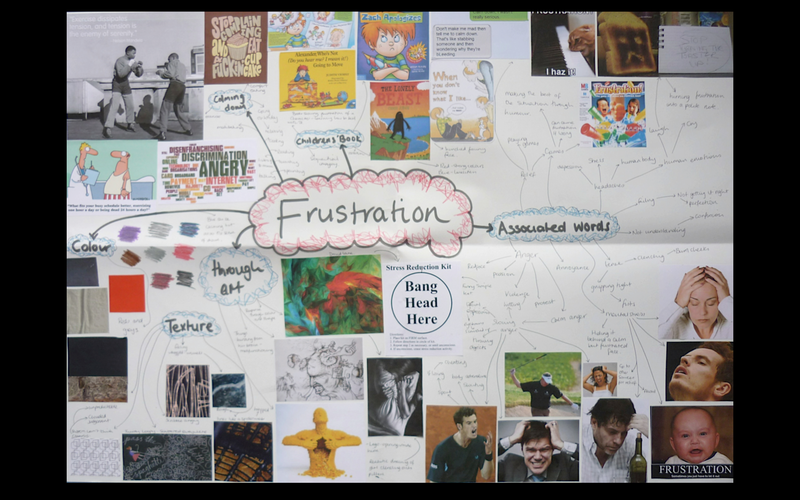 As I didn’t know what to do, I focused on my thoughts about feelings/emotions towards the text which was frustration. 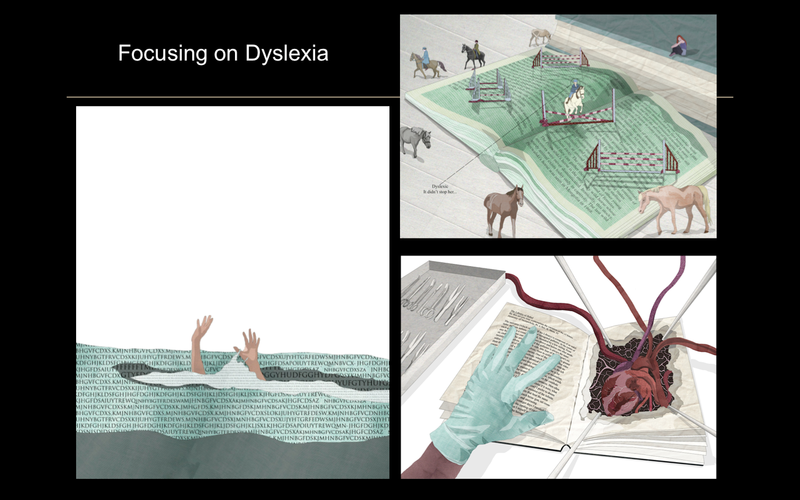 I then focused on dyslexia, linked to the text by how would a dyslexic person walking into a large confusing library feel like. 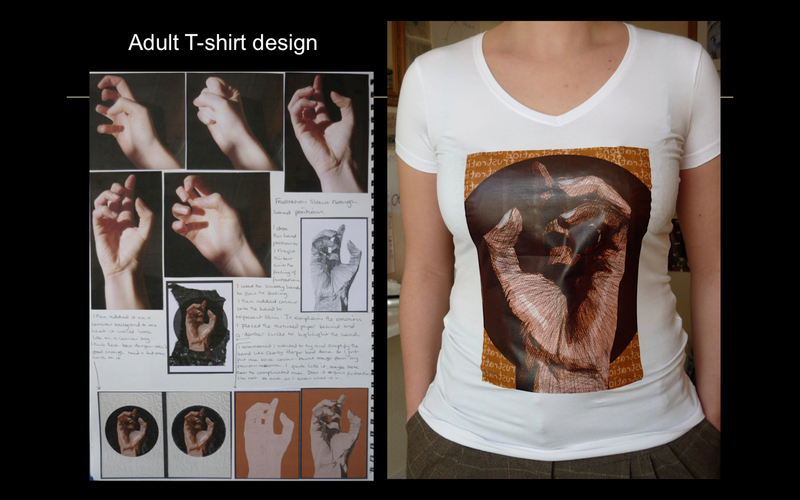 Dyslexic people tend to be more hands on so I created pieces that provided this technique e.g. the heart book is about a person learning about anatomy and they can practice this within the book along side the medical text. However, after a crit I was told I focused onto something too narrow and it will be hard to bring something new to the topic. 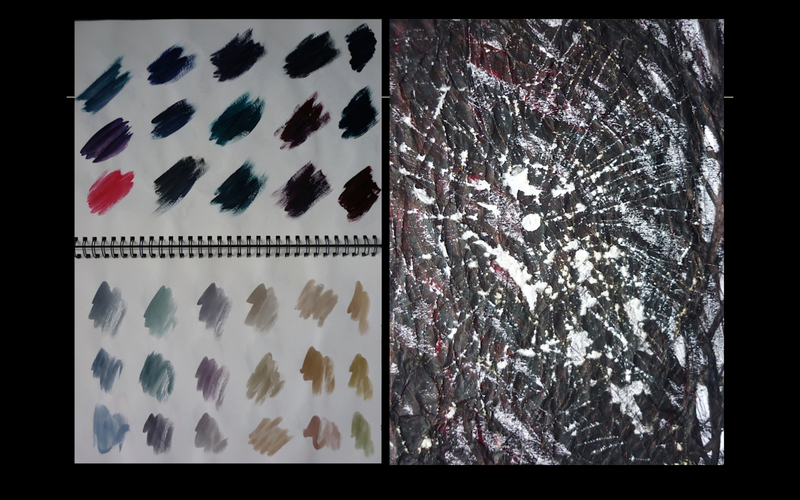 As I was beginning to get more frustrated with the concept of producing work I thought I would try and focus this energy onto paper and express it through colour and texture. I wanted to learn to let go of work by not getting over attached with it and trying to get things right first time. To research further I asked people what they find frustrating in their lives and I was thinking of illustrating in sequential pieces the stories. 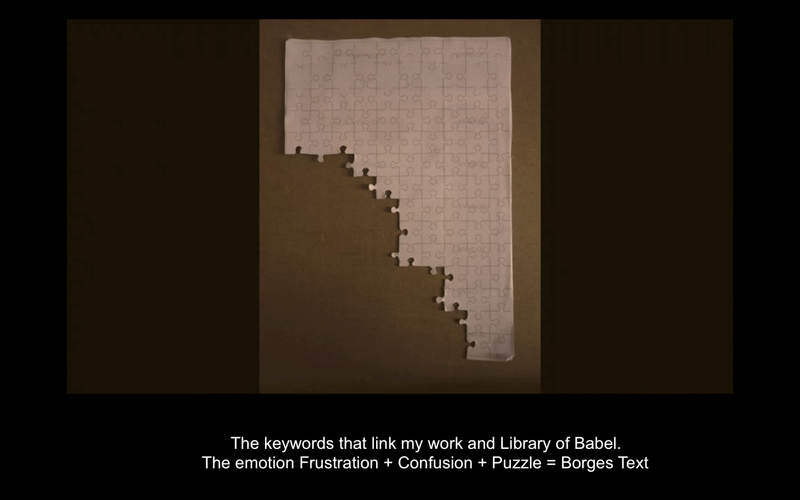 So that the viewer could look at the images and respond with their own personal experience. 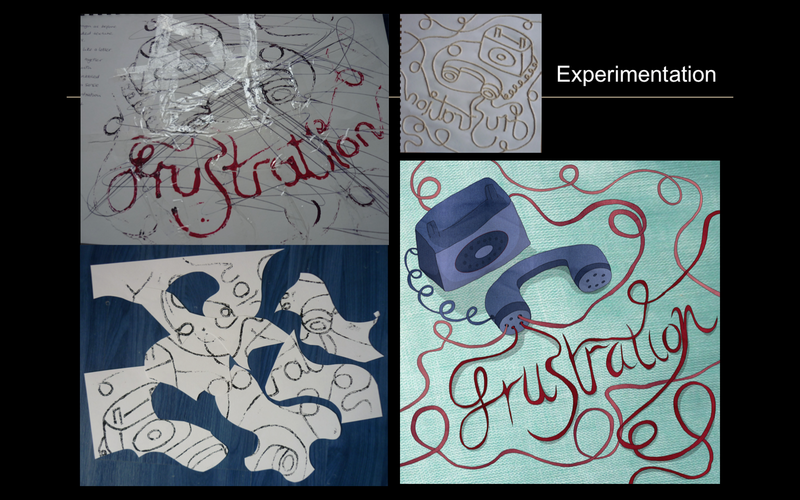 I went into further experimentation by using different methods like the string printing. I also wanted to carry on letting go so I chose a piece of work and tore it up and then celotaped it back together in frustration and then regret. I still wanted to practice my digital work still so I used the same image to create the bottom right image. This is also the start of the process I undertook with the jigsaw idea. 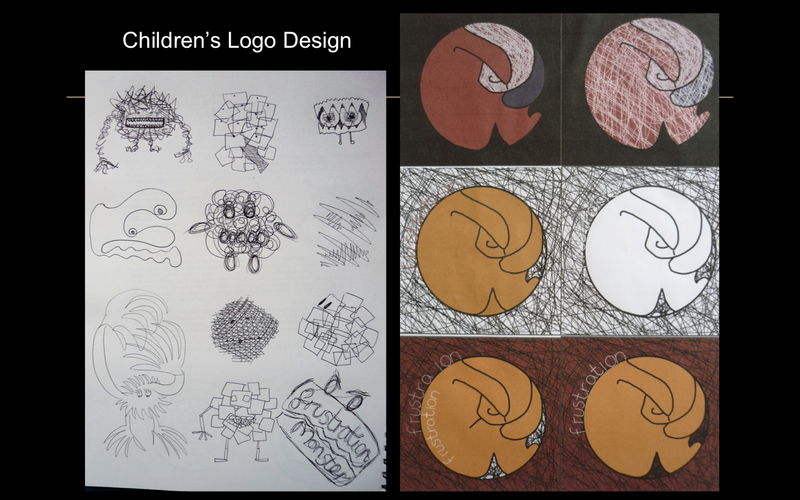 I wanted to design an adult’s and child’s logo to practice and see if I could focus the feeling of frustration in one piece. 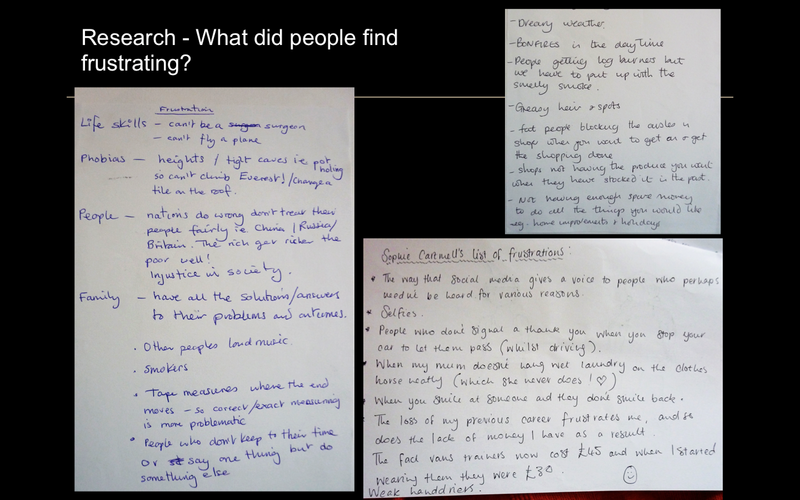 From research, scribbles and the colour red and burnt orange represented this emotion. This logo shows the figure curled up in a ball, frustration is a build up of emotions whereas anger is a physical reaction after the build up of frustration. The adult design, this time trying to show the emotion (frustration) within one hand position. Originally going on a canvas bag it looked better on a t-shirt as the shape etc fitted a t-shirt better. 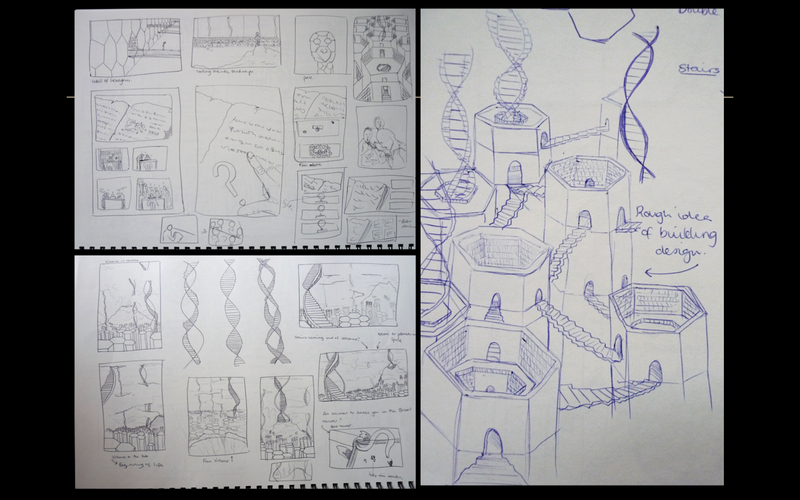 After my crit in the previous weeks I decided to focus on the puzzle aspect of it. I tried to express the feeling of frustration through sound as well as visually which helped me to understand the craziness of it all. 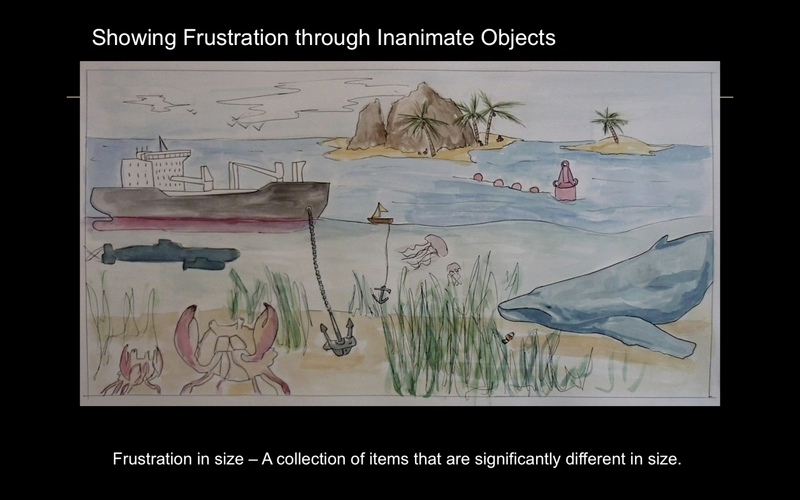 After another crit I decided to focus on inanimate objects and so created this rough piece showing the frustration between large and small objects. 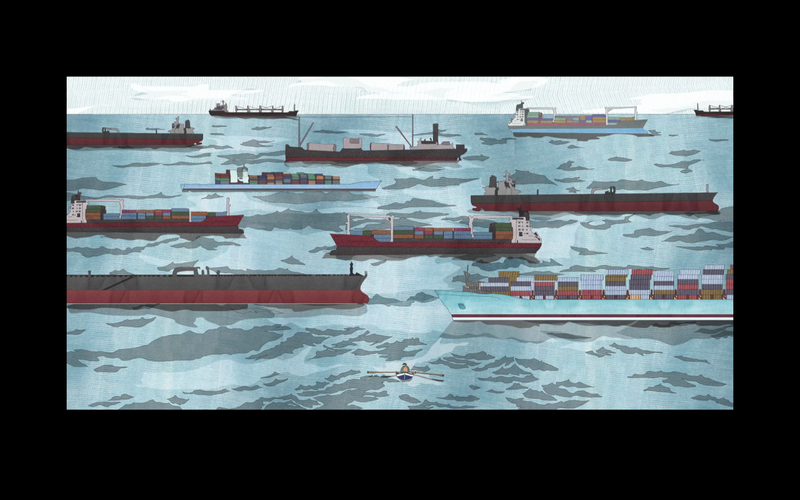 I then decided to focus on the boats as I felt I could get more out of it. 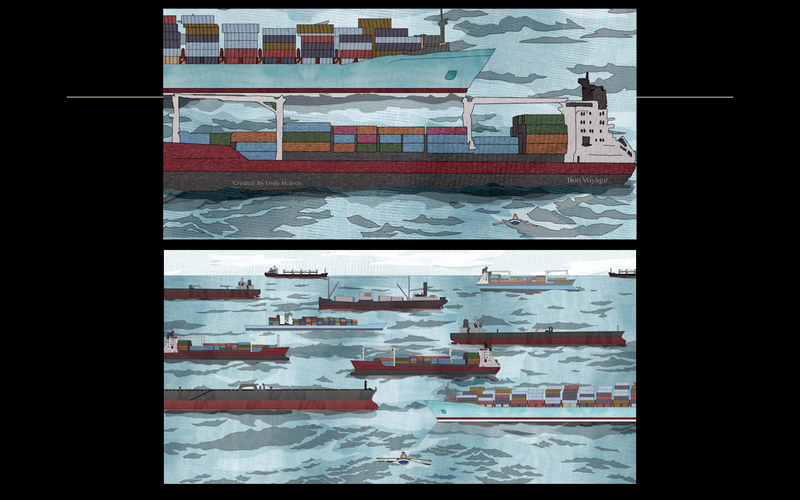 The bottom scene was the first image I produced showing a man trying to cross a shipping lane which is frustrating and a maze because he could lose his life. I had always wanted to link children’s illustration and the borges text and this is the key point I could connect these two items. I then showed my short animation and talked about how I wanted to let go of the protection over my work, how experimentation has helped me to develop my work and how I sketch my work out every time before I create the final image. 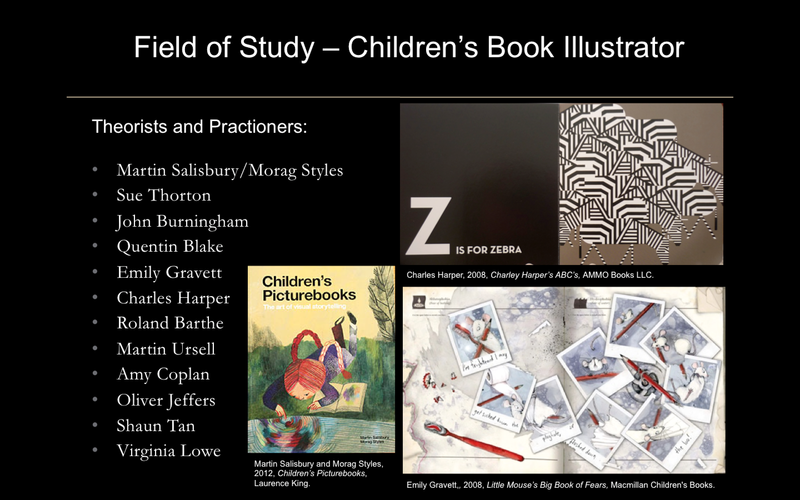 The field of study I want to go into is children’s illustration and this is the list whom I have looked at. Martin Salisbury and Morag Styles are a few artists who have created books based on how to make a children’s book. Amy Coplan wrote a text based on how does Empathetic Engagement with Narrative Fictions (2004). I looked at this how the protagonist and the reader interact with one another. Virginia Lowe comments on how her children from an early age understand an artists style- recognise and go for that book every time (familiarity). 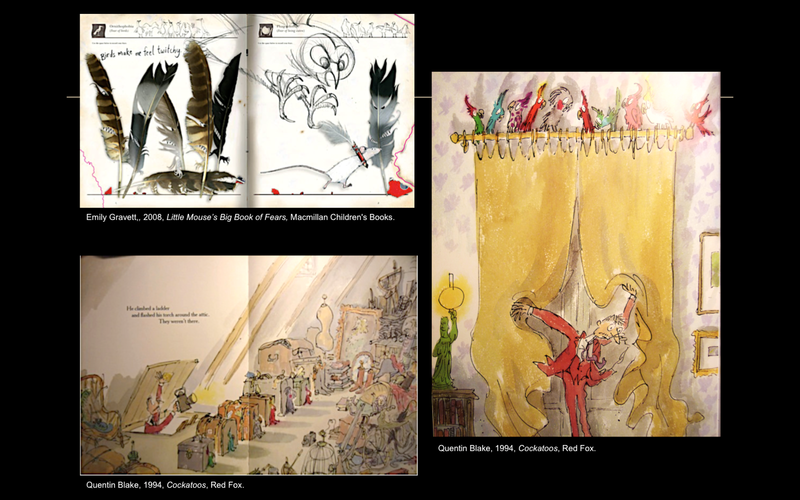 Looking at classic to modern illustrators – Quentin Blake – he uses a pantomime technique in his books allowing the reader to become absorbed and join in his work/narrative. Emily Gravett uses a range of materials, she hasn’t really got a set style but her book shown – Mouse’s Big Book of Fears isn’t exactly a story, it’s about facts and learning with the protagonist who experiences the fears. These are the goals I want to reach and learn throughout the MA year. 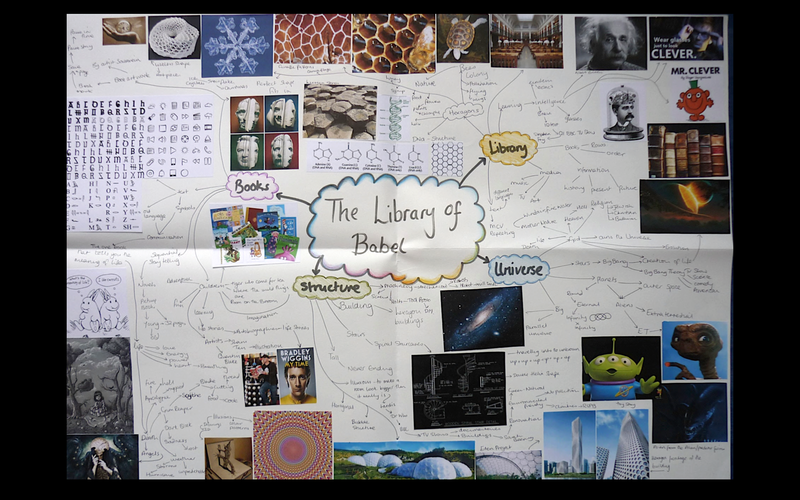 The other points are what I am going to currently do until hand in for the Babel project. After watching all the presentations it made me realise there are a lot of ways to work and even if we are given the same project everyone has a different response. Also, everyone has different ways of working and the technically is no right or wrong way. Blake, Q., 1994, Cockatoos. London: Red Fox. Coplan, A., Spring 2004, Empathetic Engagement with Narrative Fictions, The Journal of Aesthetics and Art Criticism, pp.141-152. Gravett, E.,2008, Little Mouse’s Big Book of Fears. London:Macmillan Children’s Books. Salisbury, S., Styles. 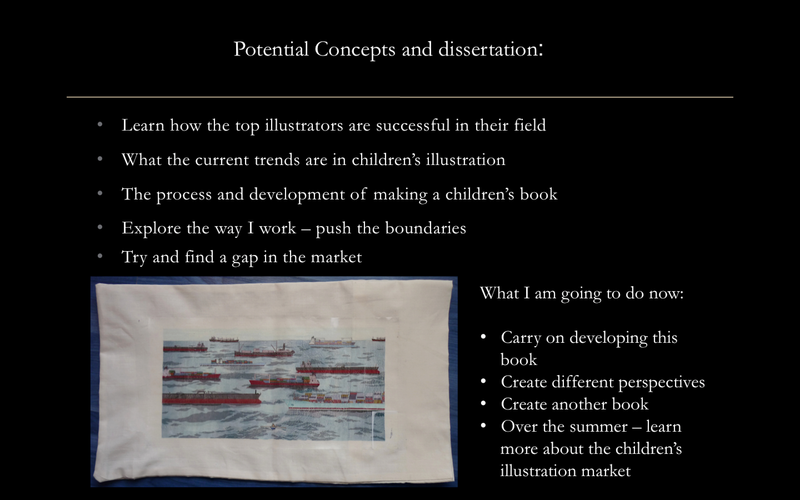 M., 2012, Children’s Picture books – The art of visual storytelling. London: Laurence King Publishing. This entry was posted in Presentation Horror.